It’s been SEVEN years! It’s been SEVEN LONG years! And I know if I don’t do something about it, my interest would wane. NO people! I’m NOT referring to the seven-year itch. 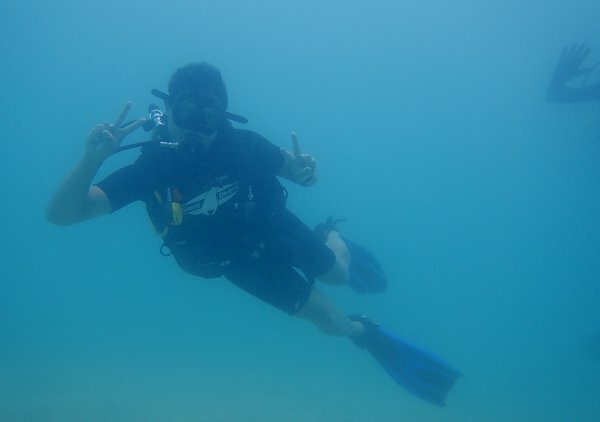 It’s been seven years since I last went diving! I had somehow planned for this, and brought along my PADI certification. 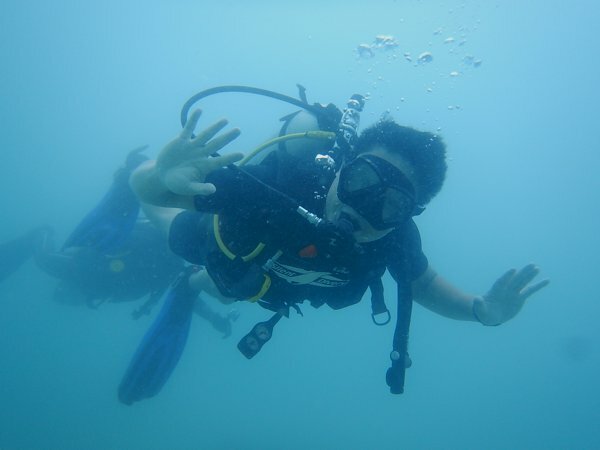 I obtained my PADI Advanced Open Water certification back in 2009 and have not went for any dives since. 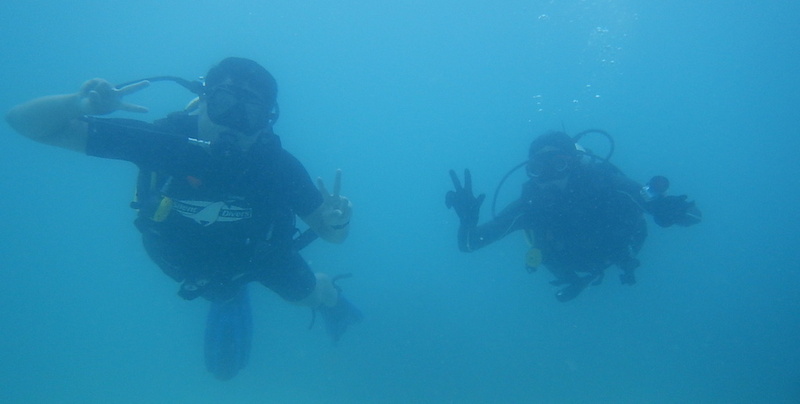 And since I was in Koh Samui, diving was my main objective here. 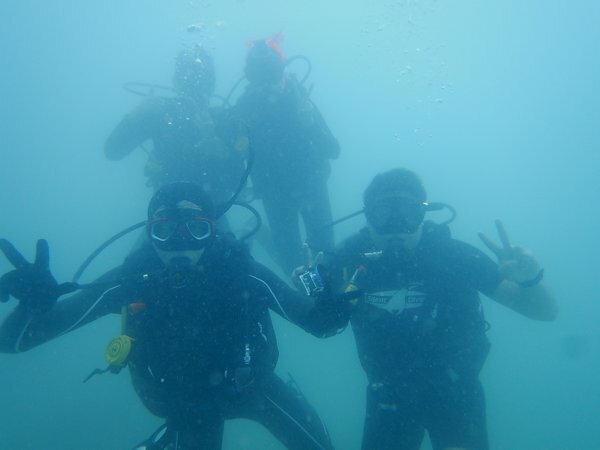 I found Silent Divers while googling for dive shops in Samui. They had pretty good reviews on the internet and my accommodation was merely 30m away from their shop. Actually, I had first found Silent Divers THEN decided to get an accommodation somewhere near here. 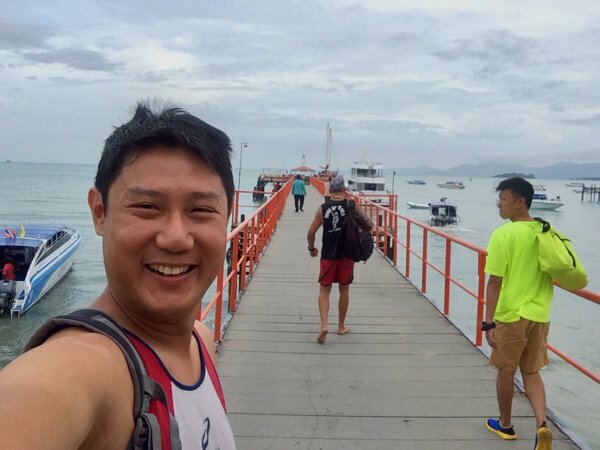 I walked into Silent Divers and spoke to Steve – the new general manager of the dive shop in Chaweng Beach. Steve was from the UK and now works in Samui. 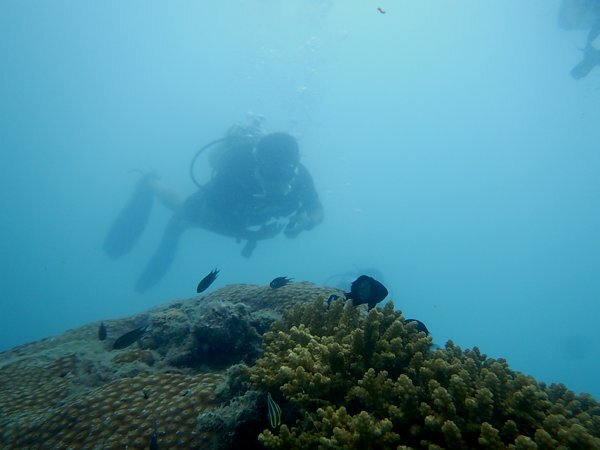 When I enquired about the dive options available, he broke the bad news. Apparently, a storm’s brewing, and the weather forecast for the next few days was bad. Windy, with waves that might go as high as 3 meters. I’m not sure if this was related to the typhoon that hit Hong Kong around the same time too. I was disappointed, naturally. But at the same time, appreciative that Steve was looking out for his customers. I left my contact number with Silent Divers and Steve promised to call me back if the weather forecast changes. 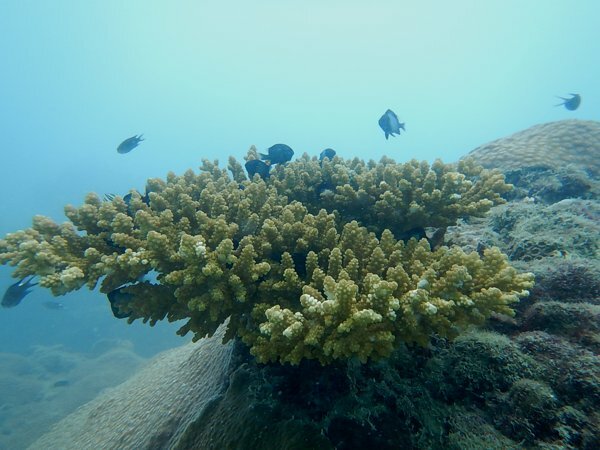 The best dive site in Koh Samui was the Sail Rock. Unfortunately, because of the unfavourable weather, most dive shops will not head there for the next few days. 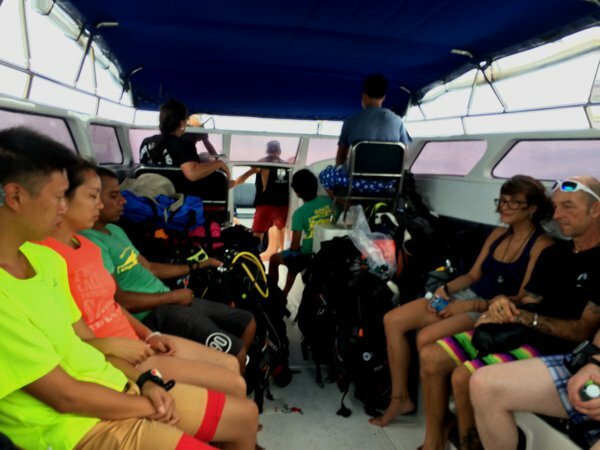 But because the weather forecast seem to suggest slightly better weather tomorrow, Silent Divers suggested going to Koh Tao instead – where the island’s landmass will help shield some of the wind choppiness. 03 Aug 2016, Wednesday. I woke up with excitement in the morning as I prepared for the dive. I’m going diving! I’m going diving! On board the speedboat heading to Koh Tao. GPS tells me that we were travelling at 30kts. That’s me in a super-happy dive pose. Perhaps because of the storm, I was a little disappointed with the underwater conditions. Visibility was approximately 5-9m or so, not exactly great. 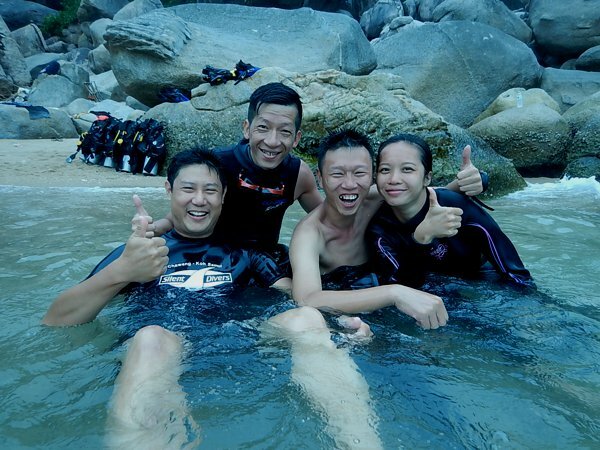 I vaguely recall my last dive in Tioman was amazingly beautiful. Clear waters with very, very good visibility. Corals. Didn’t find Nemo hiding there though. Oh, isn’t that Dory over here? Hey Dory, is Nemo home? 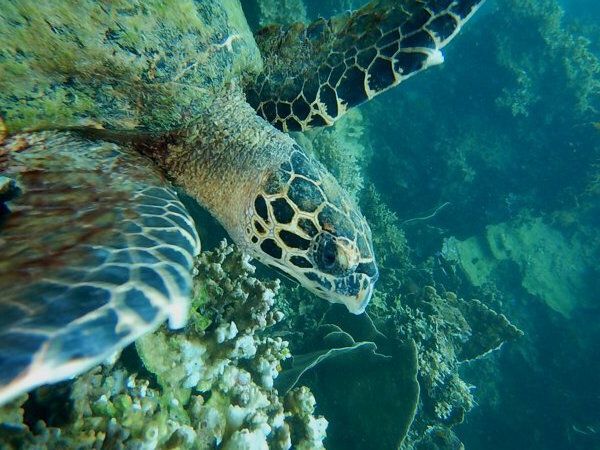 Another dive group, not ours, spotted this sea turtle. Taking a break after the first dive. Taking a surface group shot. 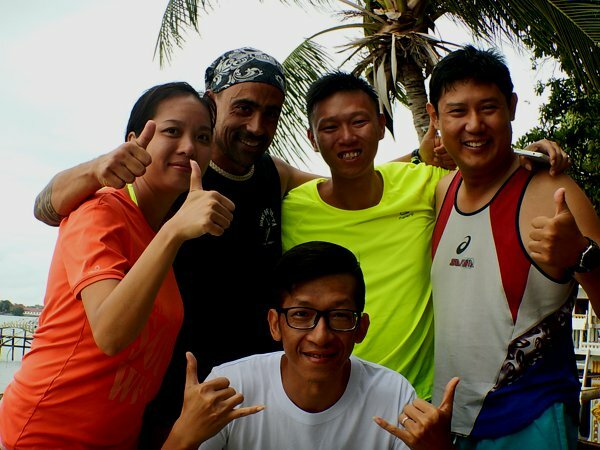 The other 3 divers in my group are from Guangzhou, China. They were quite surprised when I conversed with them in Mandarin and Cantonese. One more group shot on land. That’s Damian, our dive guide, with the bandana there. Damian’s Spanish, and he has been working here in Thailand for the past 4 years. My second dive was horrible. Not that the dive was no good, but I had the worst case of motion sickness, ever. After we surfaced, I started feeling really unwell. And as the group swam back towards the boat, I didn’t seem to make any progress. I’m not sure if it was the motion sickness, fatigue, strong currents, or just lousy technique, but the distance between me and the rest of the group seem to get larger and larger. It seem that no matter how hard I kicked, the group and the boat still seem so far away. And then, I puked. Twice. Into the sea. I’m sure the surrounding fishes were quite happy. Damian, our dive guide, came to my rescue. As he grabbed me, and we both kicked together, I seem to be making a little more progress. “How much air have you got left?” Damian asked. So we descended approximately 5m underwater and made our way towards the boat. Once near the boat, we made our way to the surface. And that was when all hell broke loose. As I reached the surface, and for the first time in my life, I experienced the worst case of vertigo. I knew I was already on the surface. I could feel the surface air. I could even see the boat. My BCD was fully inflated, and I knew I was safe. But the whole world started spinning and I was struggling to make sense as to which direction was up. And because we have already surfaced and are so near the boat, Damian had let go of me, (reasonably) expecting me to make the last couple of meters back to the boat myself. But as I was blobbing on the water surface and the whole world seem to be spinning, I needed to grab something – anything – as reference to steady myself. But there was NOTHING that I could grab. So I started flailing my arms – the signal for distress, and Damian came grabbing me. And just as I steadied myself. I puked again. Sorry Damian. And over the next 1.5hr journey back to Koh Samui, I threw up so many times on the boat that I’ve lost count. My stomach was totally emptied, but yet I continued puking. You know that feeling of the oesophageal sphincter involuntarily opening up and yet nothing comes out? Yup. Not nice. Definitely not nice. I’m planning to leave Samui tomorrow and I hope I get well enough by then.